Beware: those “leather” or “lamb skin” gloves might really be made from dog and cat skins exported by China. 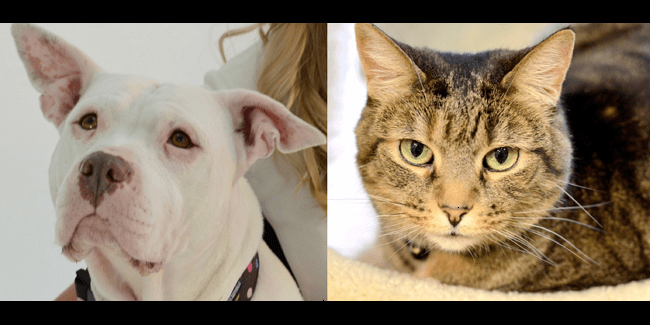 Dolly and I are positive, inspiring examples of the potential that each shelter animal has to be a great friend and family member, or even a leader! 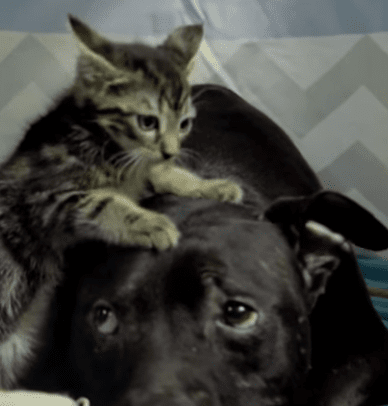 A gentle Pit Bull rescued from Michael Vick’s dog fighting ring is now a family dog whose dream job is being a kitten nanny. 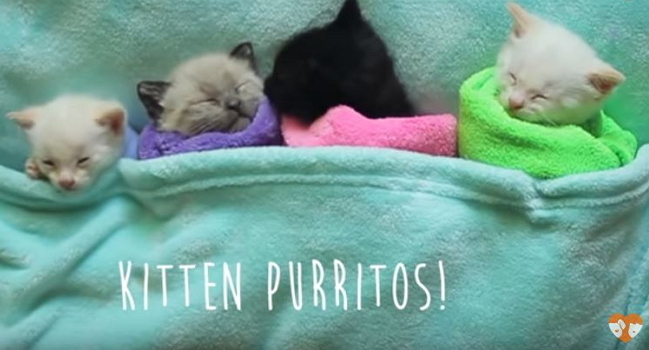 The Cutest Purritos – So Sweet You Could Almost Eat Them! Let these little kittens give you your “awwwwwww,” moment of the week. Adorable doesn’t begin to describe them. 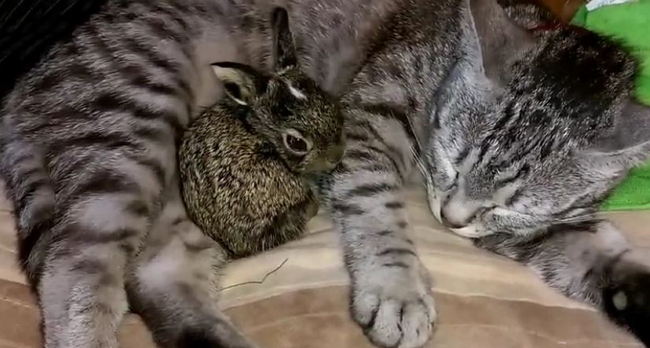 What seems to start out as curiosity blossoms into what can only be described as a sweet friendship between a baby bunny and a cat. 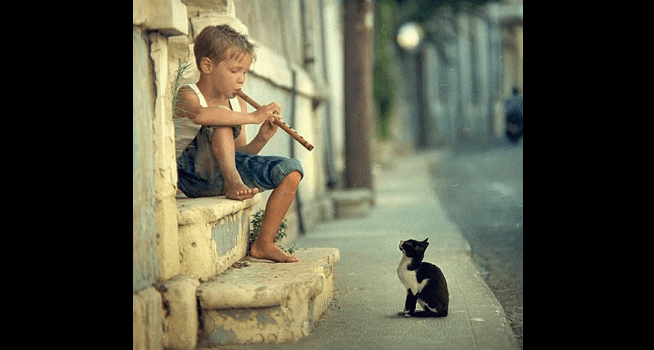 These cats all seem to be, in one way or another fascinated with flutes and recorders. And they each have their own, definite, opinions. 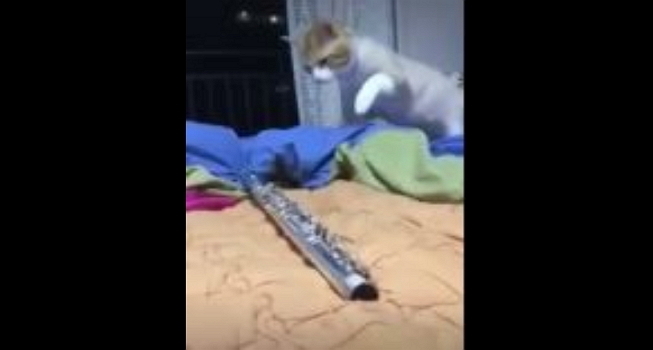 Seems like this kitten might not be too keen on music. Maybe it just has no interest in being a flutist. Momo is the latest adorable addition to the Ten Cats crew, and she’s living up to her name, which means peach in Japanese. 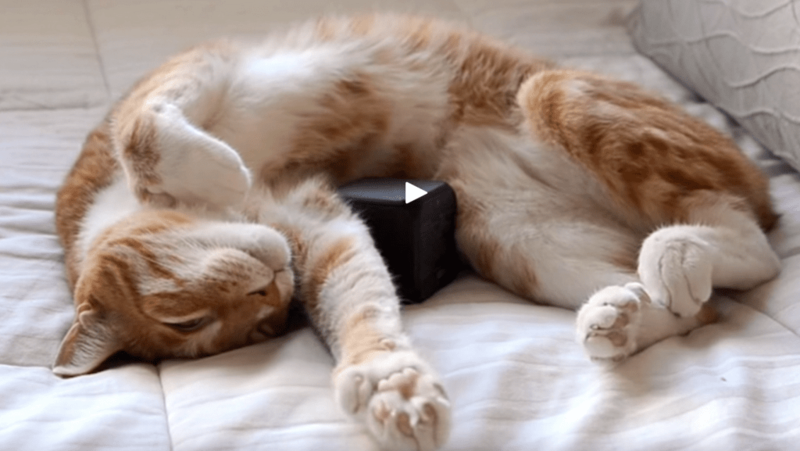 Dogs and elephants respond to classical music, but cats, well, they’re different. 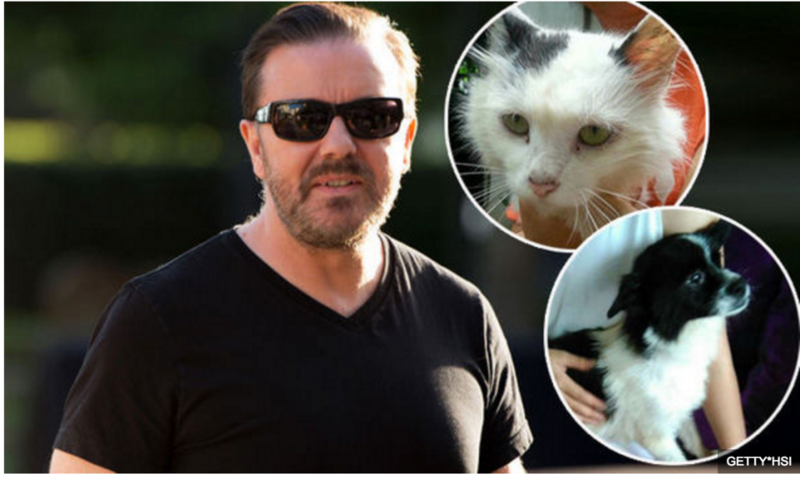 They prefer species specific music, according to one composer who has produced an album of music for cats. 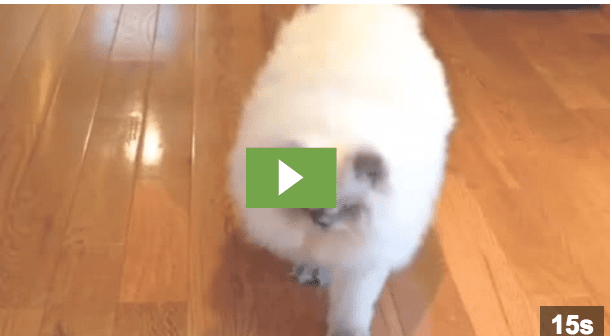 Cat lovers fond of felines who are more round than sleek will enjoy watching Bonnie the cat strut her stuff to music.